Mombasa travel appeals to all interests and all sizes of pocketbooks. History buffs are thrilled by the intact ramparts and walls of the 16th century Fort Jesus and the narrow streets of Old Town, water sports junkies get to dive in some of the world’s best dive sites and adventure seekers are thrilled to watch wildlife at play at the famed Kenyan game parks. Mombasa is an island, connected to the mainland by causeways, bridges and ferry. As you approach from the ocean, one of the most remarkable sights is the imposing Fort Jesus which was built to guard the harbor entrance and solidify the presence of the Portuguese along the Kenyan Coast. In a spectacular sound and light show held on certain nights of the week, visitors are ushered to their seats by the light of flaming torches and actors recreate the battles carried out around the Fort. A dinner by starlight in the old courtyard finishes a memorable evening. The city is principally a port but to its north and south are wide stretches of sun-drenched white sandy beaches and a wide variety of hotel resorts ranging from sumptuously luxurious to basic no-frills. Mombasa has become important as a safari hub and many tourists come to the beach before or after a safari to relax. However, enticed by fabulous water sports, spectacular marine parks and sunsets on an authentic Arab dhow, it is likely they do not chill for very long. Although the top end beach resorts offer every luxury from champagne breakfasts to pampering spas, those who want privacy opt for self-catering cottages found along the coast. These range from fairly basic lodgings to high-styled thatched cottages which come equipped with house staff, tennis courts and swimming pools. There is something for everyone in Mombasa. Up and down the coast is a string of islands on which are ruins of mosques, tombs and forts. Once home to several thousands, Gedi, which lies two hours north of Mombasa, almost overnight become a lost city. Further north, the sand dunes in Lamu conceal long deserted settlements thought to be more than a thousand years old. Lamu’s medieval stone town, much visited by archaeological buffs, is one of the last few intact remnants of the Swahili civilization which was the dominant force until the British arrived. Along with the beaches, the game parks are the most visited attractions in Mombasa. Visit the elephant sanctuary in nearby Shimba Hills Reserve or go further afield to one of six national parks which cover more than 24,000 sq kilometers in total. In renowned Maasai Mara, one of the most breath-taking sights is the annual migration of up to one and a half million wildebeest. This is most spectacular in August. Otherwise, there are giraffe, zebra, gazelle, elephant, eland, ostrich, buffalo, ostrich, kongoni, topi and lions, lots of them, to look out for. Adventure awaits you in Mombasa. The dry season, from July to October, is the best time to visit as the temperatures are milder and the air is not so humid. Peak Mombasa travel period takes place from December to March, which are also the months when the water is clearest for diving, snorkeling, and deep-sea fishing. So much awaits you on your Mombasa holidays. Come face to face with splendid wildlife on their home territory, be hedonistic in a five star spa, feel at home away from home in a rented cottage, swim with dolphins and whale sharks and satisfy your inner history buff by visiting 500 year old ruins and lost cities. Mombasa’s proud history dates thousands of years back to when it was identified as a port, then known as Tonike, in a sailing guide in 80AD. The Arab influence is very pervasive here in the minarets and white-washed mosques of the Old Town. But as one of the world’s great cross roads, a multitude of accents can be heard and everywhere there is a hustle. Both new and old sections – defined by the iconic Mombasa Tusks and the grand Fort Jesus – are worth visiting. Discover the fascinating Old Town on your Mombasa holiday, walk its narrow streets in shadows cast by tall houses with elaborated carved balconies, buy a coffee from an Arab street vendor poured from tall long-beaked copper pots. Snap images of white-washed mosques standing side by side with African markets, meander through stores selling old coins, curios, silverwork, Lamu style furniture and a pharmacopoeia of scents which reach heavenward. Watch beautiful Hindu women stroll by in brightly colored saris, Arabs in beaded hats and the Swahili in long white robes or beautifully patterned kangas worn by the women. A must on any itinerary during your holiday in Mombasa is to spend some time at the immense and weathered Fort Jesus. Its guns still point out towards the harbor and there is a worthwhile museum that deals with the history, culture and architecture of the coast. Among its interesting exhibits are relics from Portuguese shipwrecks and coats of arms of Portuguese commanders carved in stone. Continuing that military tradition, did you know that the British code-breaking outfit of Bletchley Park had an outpost here in Mombasa? The Kilindini code breakers operated out of Allidina Visram school for several years gathering major intelligence during the 1940’s. See “The Emperor’s Codes” by Michael Smith for a more detailed history. Relax on a sunset and dinner cruise on a Tamarind dhow and dance under African skies after a first class candlelit dinner. Or choose a lunch cruise which sails from Kilindini Harbor to a creek for a lazy post seafood lunch swim. While safaris are the main draw in Mombasa, ensure there is sufficient time on your Mombasa holidays to enjoy the beach life on either the North or South coasts. Here are miles and miles of white coral sand fringed by palm trees and hotels and resorts of every caliber from makuti palm-leafed African style cottages at the Severin Sea Lodge to the ancient Arab Lamu-style architecture of the Serena Beach hotel. From the north, head towards Malindi Marine park where the corals and rich and varied. From Malindi, big game fishing boats pull out to catch marlin and sailfish which run in the deep ocean water beyond the reef. Along the South Coast are the drop dead gorgeous Indian Ocean Beach Club and Leopard Beach Resort. From the South coast, it is easy to get to the unique Shimba Hills National Park and the Kisite Marine National Park or visit the inland African villages of Kwale. Be captivated by adventure and romance on your next Mombasa holiday and if time runs out, you can always come back again. Mombasa Kenya is laidback, friendly, steeped in history and totally unpretentious. It is living culture. A coral colored fort with cannons peeping out from its bastions greets visitors coming in from the ocean. Dhows are still moored in its harbor and it is one of the oldest settlements in East Africa. In an old town of narrow streets and Swahili architecture, business goes on as usual in the shadow of the military Fort Jesus which bears witness to many bloody battles for control of this ancient trading port. A long history of maritime trade with Arab nations spanning a millennium and prominent influences of Islamic civilization are seen in more than fifty mosques in Mombasa Kenya. 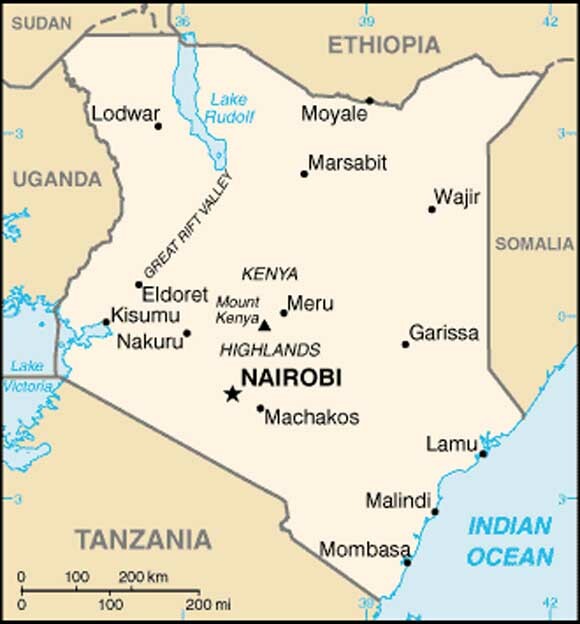 Ethnically, however, Kenya’s second largest city is more diverse than the capital city of Nairobi. There are also large numbers of Sikh and Hindu temples, Catholic and Anglican churches. Over its history, the Portuguese, the fierce Zimba tribe and the Arabs of Oman have all laid claims to this city. British rule started in 1895 and today Mombasa Kenya remains one of the most important links between Africa and the outside world. Despite all these external influences, it is the Swahili civilization that lends that special air and strong sense of identity. The Swahili coast has such a distinct culture from the rest of Kenya in large part because of the Maungu Plains which separate the country’s interior from the Indian Ocean. The Swahili women are either outfitted in black from head to toe in the buibui or in the brightly colored multi-patterned kanga outfits. Men are dressed in the white kanzu garments with long sleeves. The 16th century Fort is one of the largest draws in Mombasa Kenya. Previously built to protect the Portuguese from Turkish invaders, it is now a museum which houses exhibits depicting more than 700 years of Mombasa’s history. Displays include many exhibits of Chinese porcelain, Persian and Portuguese glazed ware and military artifacts from its site as well as from ancient sites such as Gede and Ungwana. Parts of the Portuguese frigate, Santo Antonio de Tanna, which sank off the coast during a siege, and extensive relics recovered from the wreck are viewed here. . There are replicas of cannons in its many battlements and within its compound, displays at the Omani House offer fascinating insights into Swahili life. The great water cistern, barrack and storage rooms remain intact and you can grab scenic views of the Old Town from the northwestern corner of the fort. While walking around Old Town, keep a lookout for the coffee-sellers serving from the traditional high-spouted jugs. Have your coffee with the Kenyan almond halwa, a local sweet which is more similar to Turkish delight than to the Middle Eastern sweet. Surrounding the Old Town is the modern-day city with wide boulevards and an increasing number of high-rise buildings. The icon of the city is seen on Moi Avenue – twin pairs of elephant tusks made of aluminium built in 1952 to welcome the then Princess Elizabeth of England on her way to a Kenyan safari. Modern Mombasa Kenya is an industrial city. There are major oil refineries and there is a regrettable lack of beaches. The lure of the beaches on the northern and southern coasts will probably prove irresistible but the city is well worth a day’s exploration to catch a glimpse of how life was centuries ago.